Belle Crique Private Resort is the premier address on the West Coast comprising 9 apartments separated in 4 blocs of 4 beachfront apartments of 4 bedrooms, 3 Seaviews apartments of 3 and 2 bedrooms and 1 studio apartment consisting of 1 bedroom, all facing the breathtaking sunsets of the west coast. 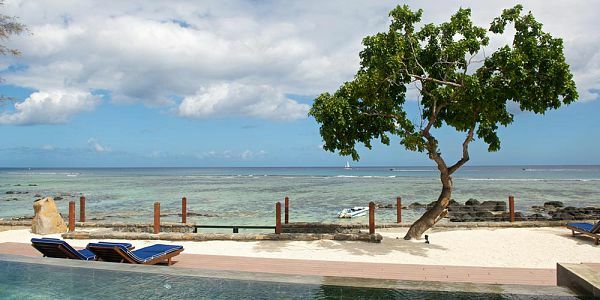 The Belle Crique luxury apartment complex combines the freedom of luxury beachfront accommodation with a range of services expected from a discerning clientele. 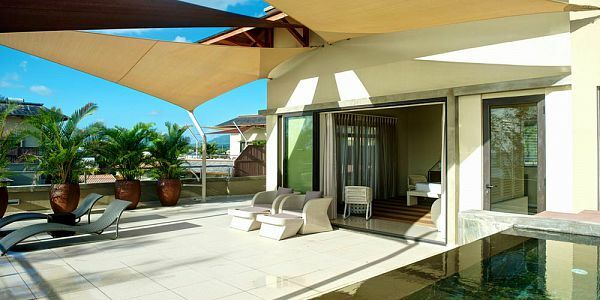 Clients may choose to be left entirely alone to discover their newfound paradise or opt for the personal attention available at the complex to make the most of their time in Mauritius. 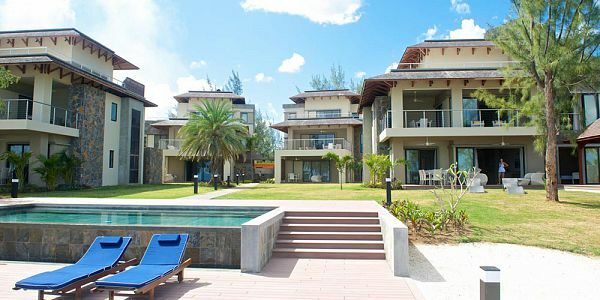 The uniqueness about Belle Crique Apartments is that it has 4 large bedroom units, private plunge pools, panoramic beach frontage and also a unique bed studio. 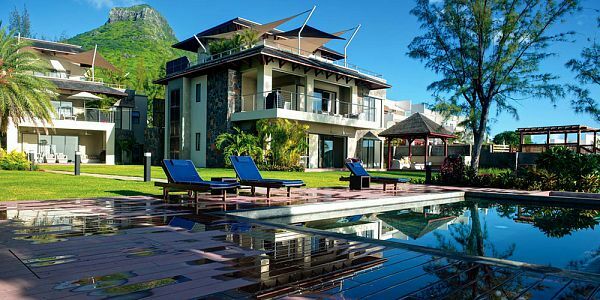 It is situated in a great location in the center of Tamarin in proximity of shops and restaurants. 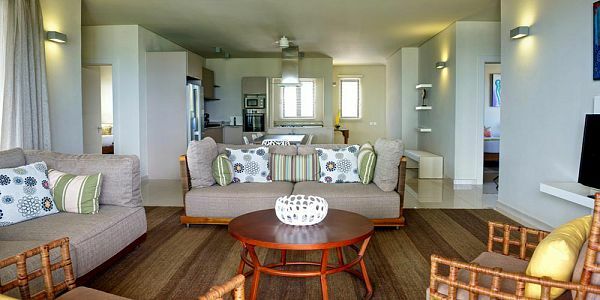 The comfort of apartments with the calm and privacy, it is a perfect place to enjoy your holiday to the maximum. When staying at Belle Crique may expect good old fashioned hospitality right from check-in to the moment you leave our property. Belle Crique's ideal location enables guests to discover the West and the authentic South from one of the island's most coveted upmarket neighborhoods. The amazing view of the ocean and beautiful sunsets. A great location in the centre of Tamarin in proximity of shops and restaurants . It’s own house-reef for amazing snorkeling. Belle Crique’s ideal location enables guests to discover the West and the authentic south, and at the same time benefiting from ideal surrounding, beautiful beach and easy access to various facilities. 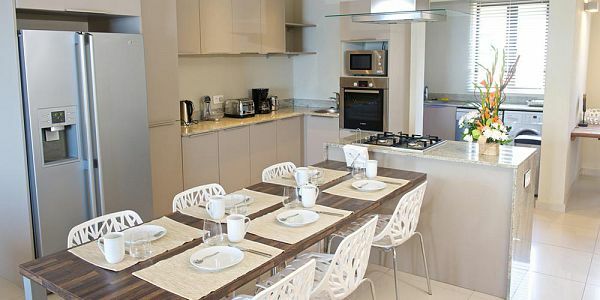 Belle Crique Apartments enable each guest to choose from selection of luxurious apartments. 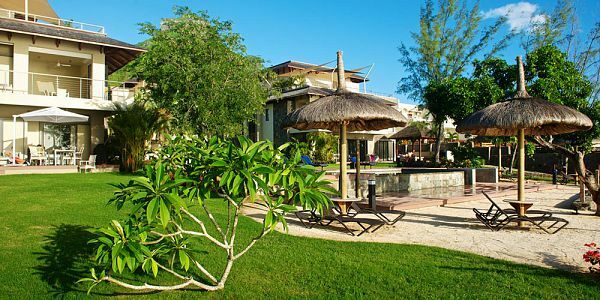 Complex facilities at Belle Crique include a beautiful infinity swimming pool surrounded by wooden decking, sun-loungers and beach umbrellas as well as thatched kiosks and loungers on the beach sand. 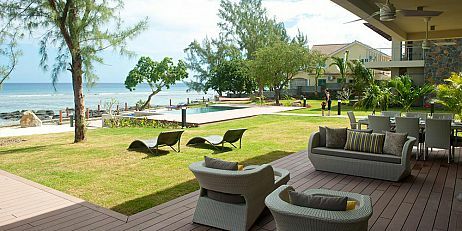 The Belle Crique Beachfront Apartments are situated closest to the beach, two beachfront apartments are located on the ground floor and two on the first floor. The ground floor units will allow our guests to walk straight out towards the kiosks and pool area, while the first level units enjoy an unobstructed view of the Horizon. 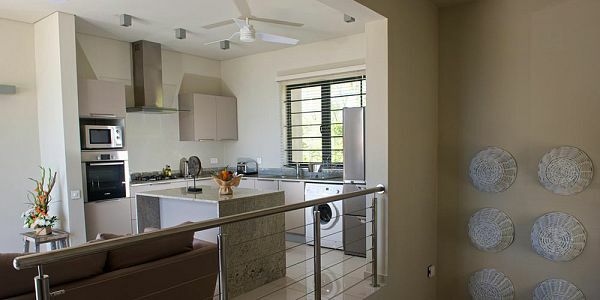 The apartments comprises of glass bordered balconies, 40 inch flat screen televisions, Nespresso machines and sleek architectural lines make Belle Crique Beachfront Apartments a premier choice of accommodation on the West Coast for the discerning traveler. 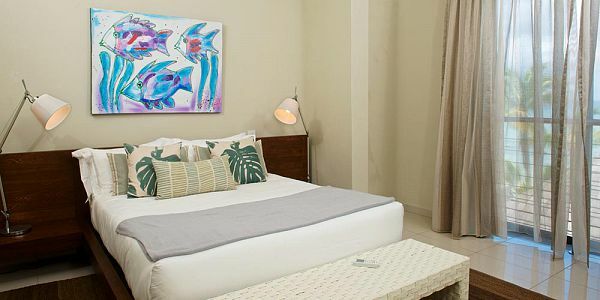 Each apartment has four bedrooms and four bathrooms as well as an open-plan kitchen and living area which flows onto a spacious outdoor terrace. The Master bedroom has access to the balcony and comprises a large en-suite bathroom and walk in cupboard. The main appeal of the beachfront apartments is their proximity to the ocean and the larger living area. 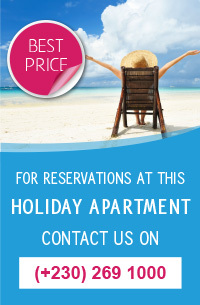 Because there are only four units, we advise guests to book in advance to avoid disappointment. Let the feeling of pure relaxation overcome the weight of everyday life. 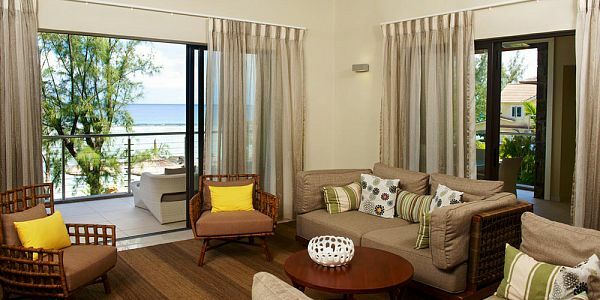 Let life take it's own pace and enjoy the simple pleasures of life from the perfect beachfront hideaway. 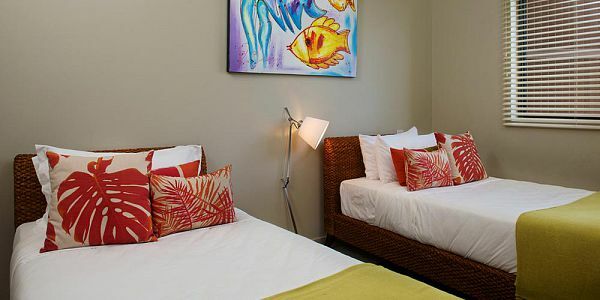 Situated behind the pool area, with direct views on the pool, garden and beach, the sea view apartments provide the perfect respite from a perfect day under the tropical sun. The ground floor units enable guests to walk straight out towards the the pool area, while the first level units enjoy a flawless view of the beautiful horizon. 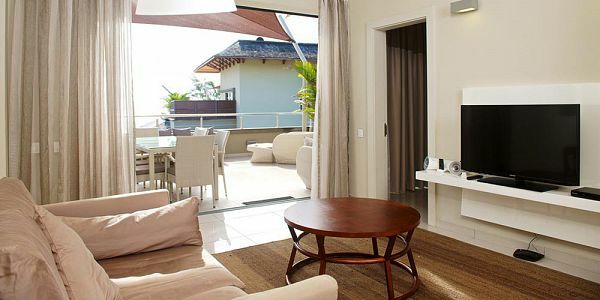 Modern touches such as glass bordered balconies, 40 inch flat screen televisions, Nespresso machines and sleek architectural lines make the Belle Crique beachfront Apartments a premier choice of accommodation on the West Coast for the discerning traveller. Each apartment has three bedrooms and two bathrooms as well as an open-plan kitchen and living area which flows onto a spacious outdoor terrace. 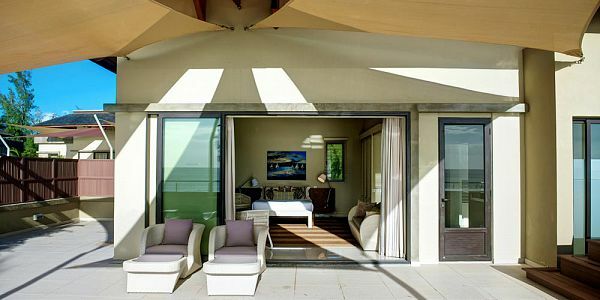 The Master bedroom has access to the balcony and comprises a large en-suite bathroom and walk in cupboard. 145 Square Meters ground floor & 200 Square Meters on first floor. 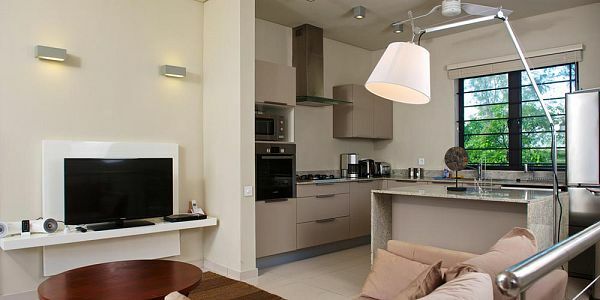 Three Bedrooms & one of two bedrooms 143 Square Meters. 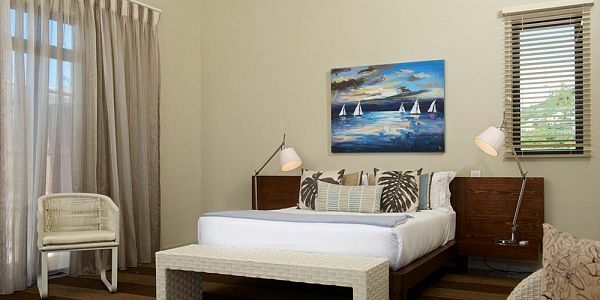 Belle Crique Studio Apartment is a fantastic address on the West Coast. 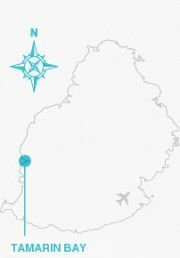 It is suitable for a honeymoon couple searching for a priceless view. 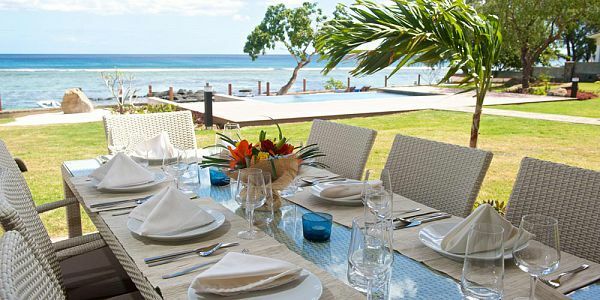 The spacious terrace consists of a private plunge pool and a table of 4 chairs. 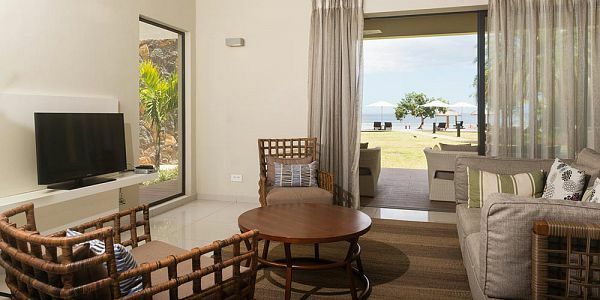 Our guests will enjoy amazing views from any area of the property, whether they be of the dazzling ocean below or of the majestic La Tourelle mountain behind the complex. 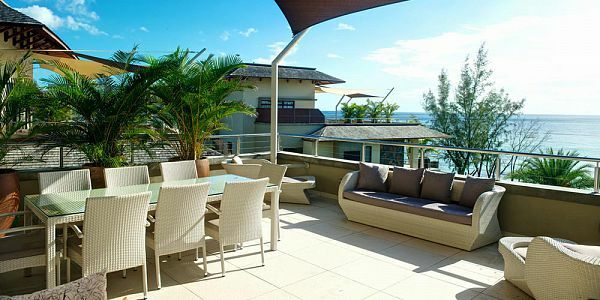 All balconies are furnished with outdoor furniture. A gas extinguisher is supplied in each apartment and in the Penthouse, we have an outdoor living and dining area. 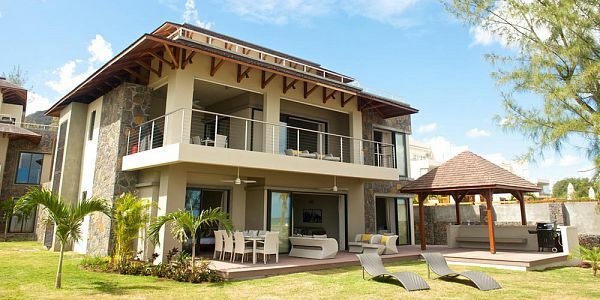 Beach Front: 2 Twin bedrooms and 2 Queen bedrooms. Sea view: 2 Queens and 1 Twin. Sea view: 1 Queen and 1 Twin. Mini safe in master bedroom only. Flat-screen 40” television wall mounted.br /> Fan + air-conditioners. French and English satellite TV. Clients on arrival will appreciate the care and detail put into our welcome pack. No need to run out to the shops... simply sit back and relax with tea or coffee, or have a beer. We also supply a basket of fresh tropical fruits, and a whole lot of goodies for the next day's breakfast. Will be on site 6 times weekly to supervise operations as well as make themselves available to guests on check in, checkout as well as to solve and attend to any items guests may encounter during their stay.